Welcome to our farm website. Thank you for stopping by! Big Horn Mountain Alpacas is located at the base of the Big Horn Mountains in the rolling green foothills of Parkman, Wyoming. It is a business but more importantly a way of life for us. We share our farm with 16 alpacas, angora rabbits, geese, ducks, chickens, cats, horses, one very smart and sweet donkey, and livestock guardian dogs who watch over us all. We care for and love each animal from birth to their passing. Each animal is sheared by us, and fiber processed onsite into finished products that I sell on this website, ebay, etsy and at local farmer's markets and craft shows. 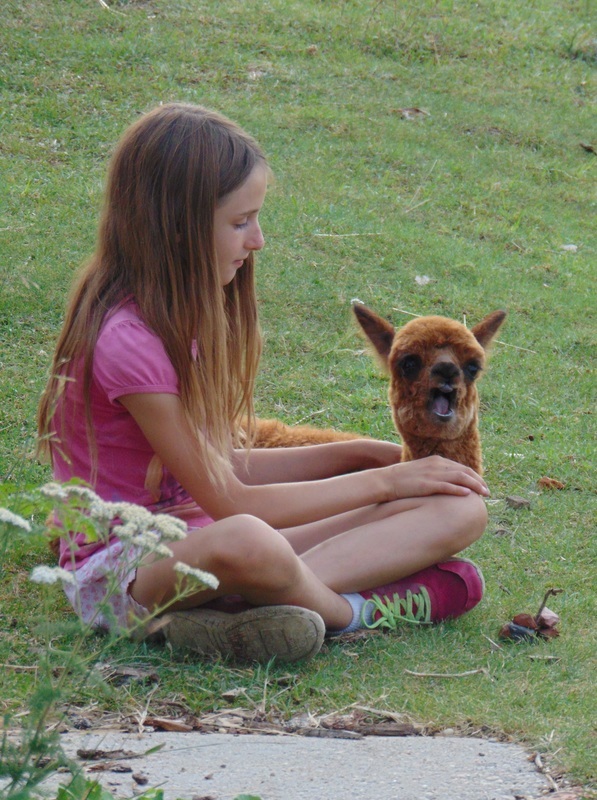 We also fill our ranch store and online store with many alpaca products that I do not make. If you buy an item from this site, I try to ship same day or within the business day. We make a daily run to the post office for shipping items promptly. We value and are thankful for our customers who shop with us. "To everything there is a season, and a time to every purpose under the heaven. A time to be born and a time to die; a time to plant and a time to pluck up that which has been planted. "